I think it goes without saying that most everyone out there has heard of Shutterfly. I have used it many, many times and I have always been pleased with the results that I have received. I have created photo calendars, photo books, birthday invitations, and printed tons of 4x6 and 5x7 prints from Shutterfly just within the past 6 months! Everything I have ever received from Shutterfly is high quality for an extremely reasonable price. If you haven't used Shutterfly yet, what are you waiting for?? They have some of the cutest birth announcements, save the date cards, and photo Christmas cards! 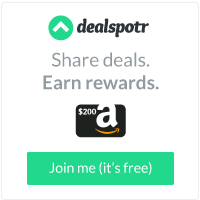 I love the fact that when you subscribe to Shutterfly.com by email, you receive discount codes and promotional codes for FREE items! Be sure that you subscribe to the newsletter at Shutterfly so that you don't miss out on these amazing deals! 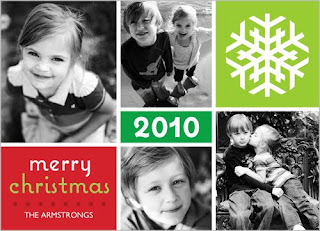 Also, create a free Shutterfly membership and receive 50 free 4x6 prints! And right now, enjoy free shipping on orders of $30 or more with promo code SHIP30 ! WIN IT! Two lucky winners will receive one promotional code good for ten (10) 5x7 flat stationary cards! Visit http://www.shutterfly.com/ , then come back here and tell me about your favorite item! Follow me on Twitter and tweet about this giveaway! (Leave your Twitter name and a link) You can tweet this daily: " Shutterfly giveaway at Opinions of a Moody Mama #giveaway @coopersmommy @shutterfly http://tinyurl.com/34zx9kw PLEASE RT! " I did not receive compensation for this post. 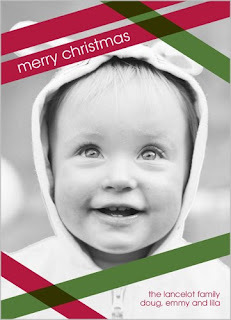 I will receive promo codes for free 5x7 cards from Shutterfly in exchange for my honest opinion. All opinions are 100% mine and in no way influenced by the sponsor. I love Shutterfly's photo books. They always look awesome! I "like" Opinions of a Moody Mama on facebook! 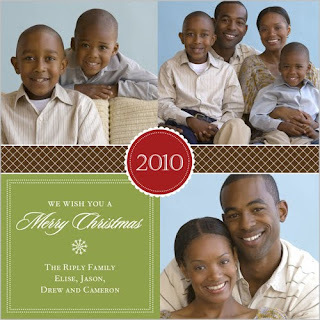 I love the family wall red Christmas card and the Family Wall Noir Christmas card. I like the pink poppies thank you card. I like their photo playing cards! i love the thanks script cherry design!! I like the photo books. I make them all the time. I love the collage calendars! Love the Mod Snowflakes Christmas card. My favorite item is the Collage Calendar.